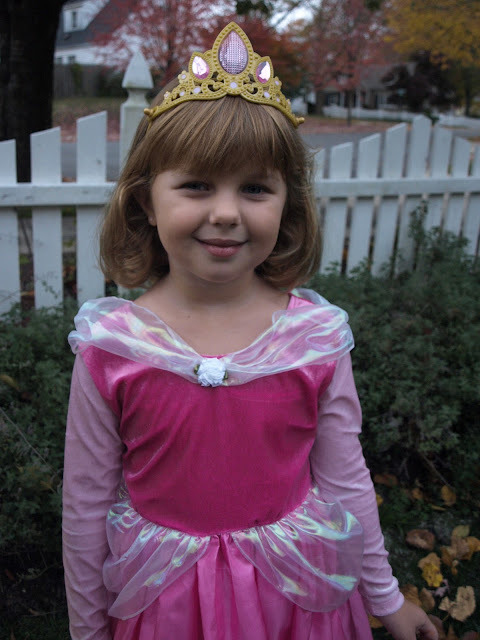 but I'm still going to (finally) share photos of my princesses. 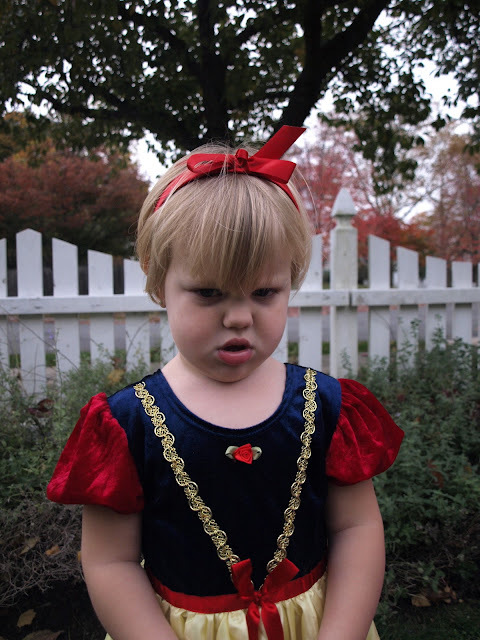 Ana was Grumpy. Oh, wait. No. She was Snow White. 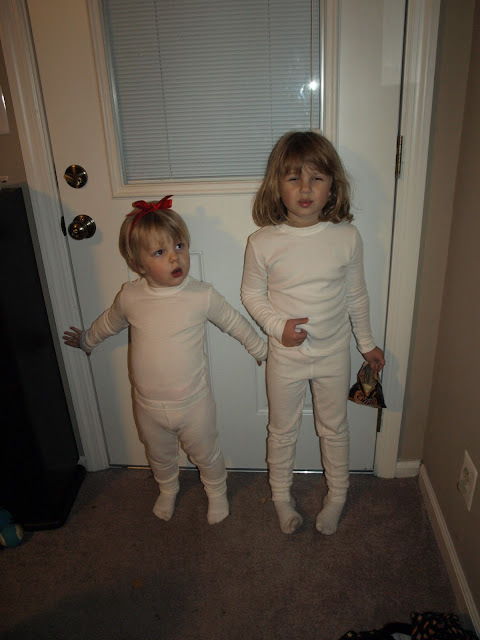 The dwarfs... er... cousins came over (as is tradition) for some trick-or-treating. This is my new favorite "pose". We call it "cheeks". See what great photos I get when I say "DO CHEEKS!" Poor Alex... surrounded by girls. Aunt Prudy held down the fort while we all went trick-or-treating. 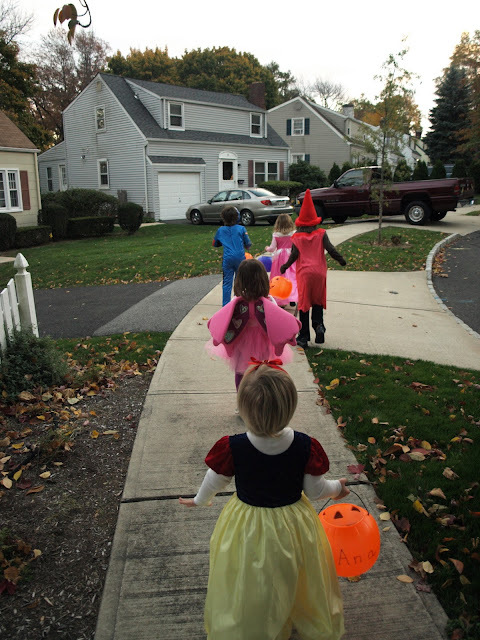 Off we went on our hunt for candy. 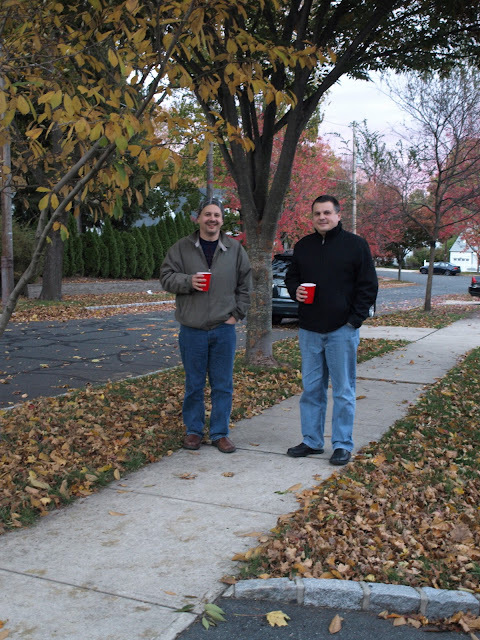 The dads seemed to enjoy a leisurely stroll through the neighborhood... libations in hand. As usual... the moms were surrounded by a flurry of blurred craziness. When we finally came home we enjoyed some of our treats and then played a little hide-and-seek. Ana and Zoe won. We totally couldn't find them. I'm still not sure where they were hiding. 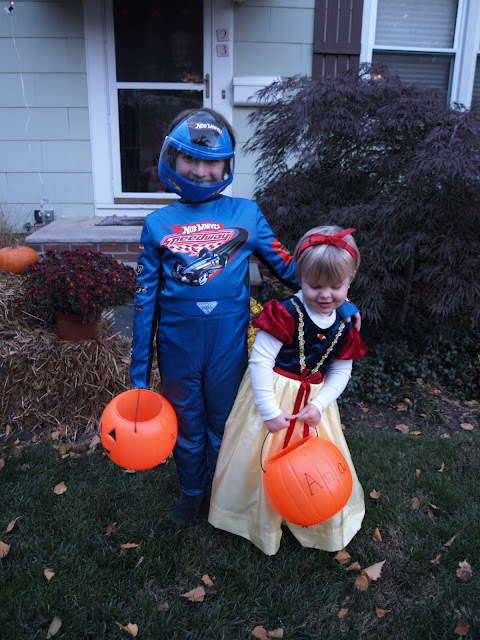 A Happy Halloween was had by all. And, I'm still snacking on treats.